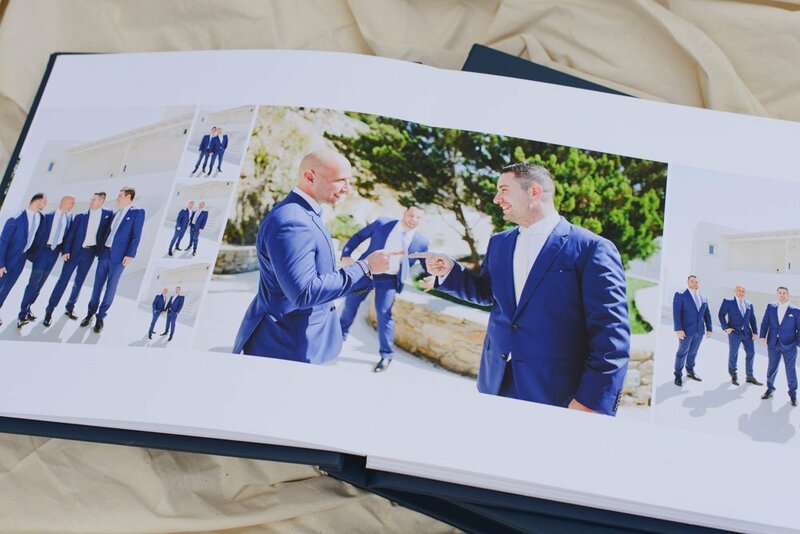 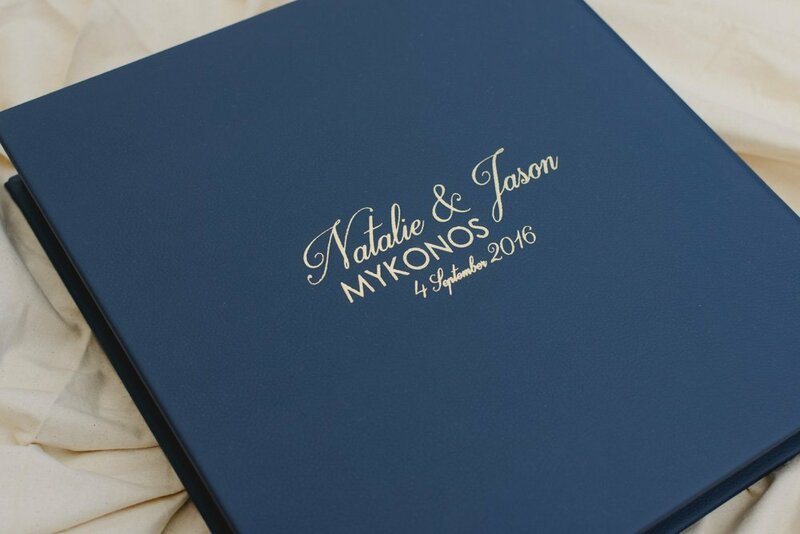 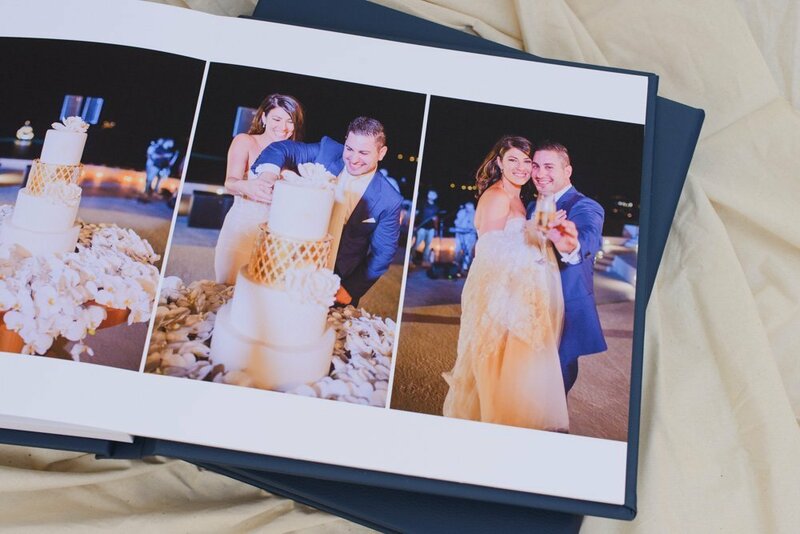 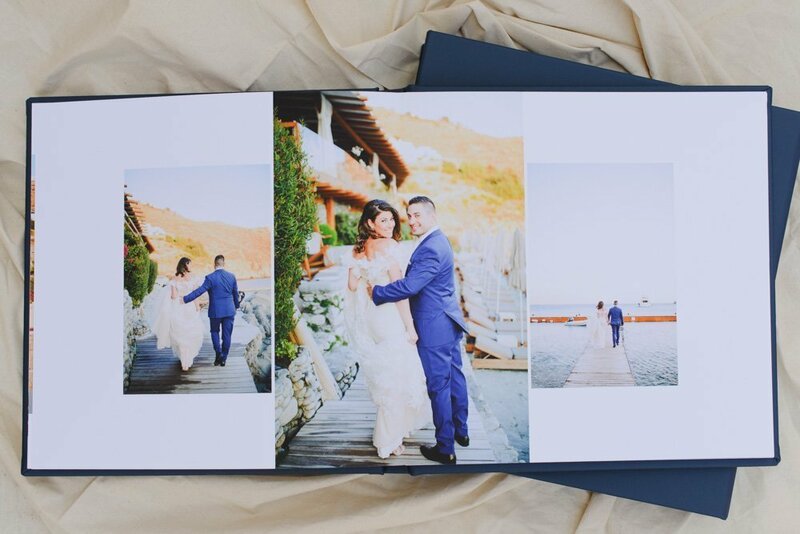 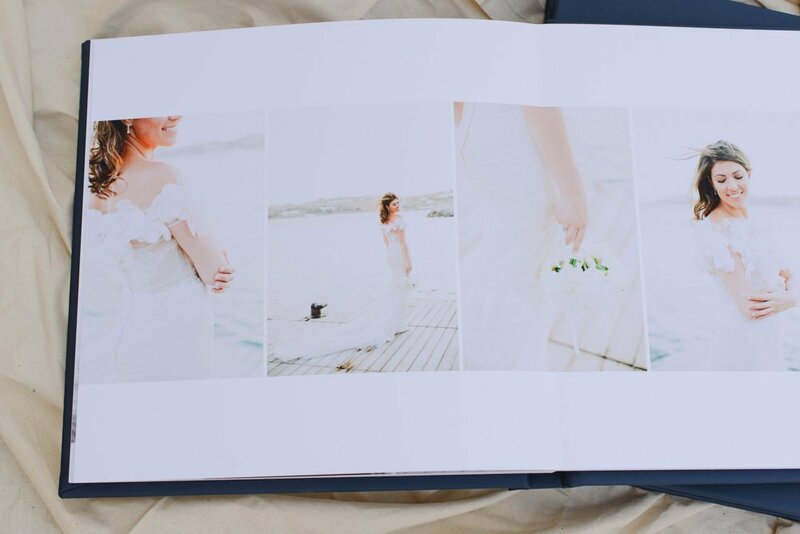 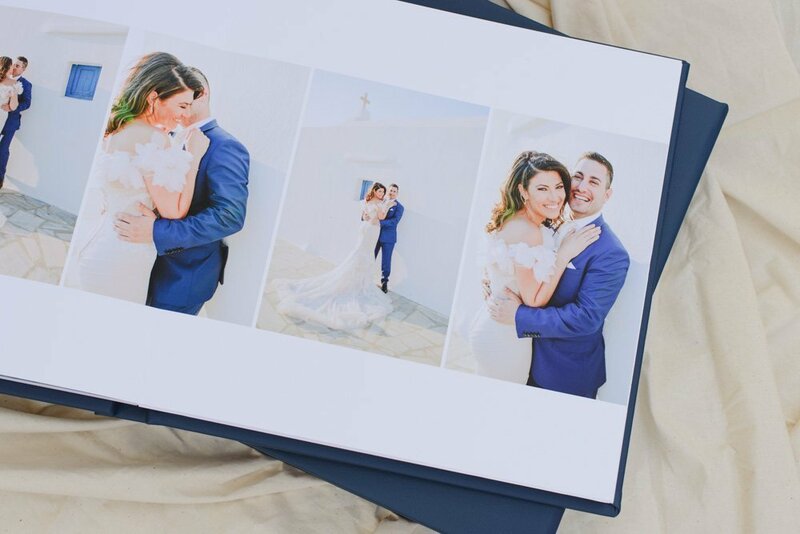 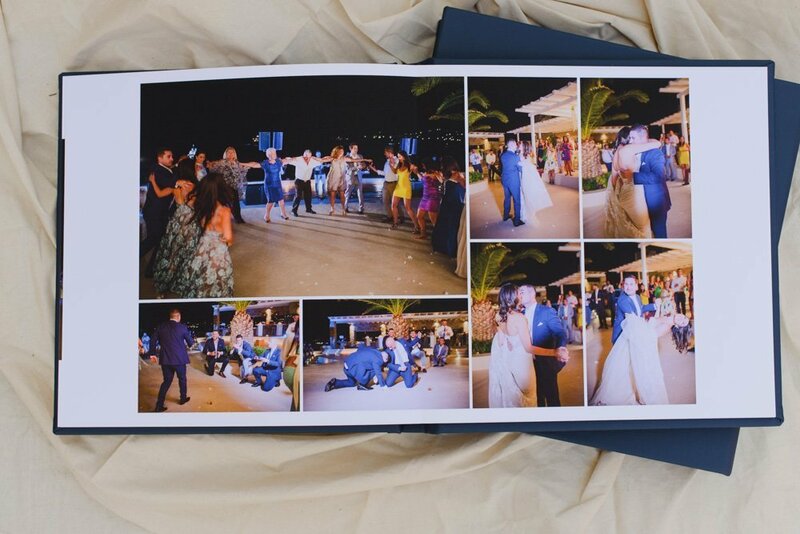 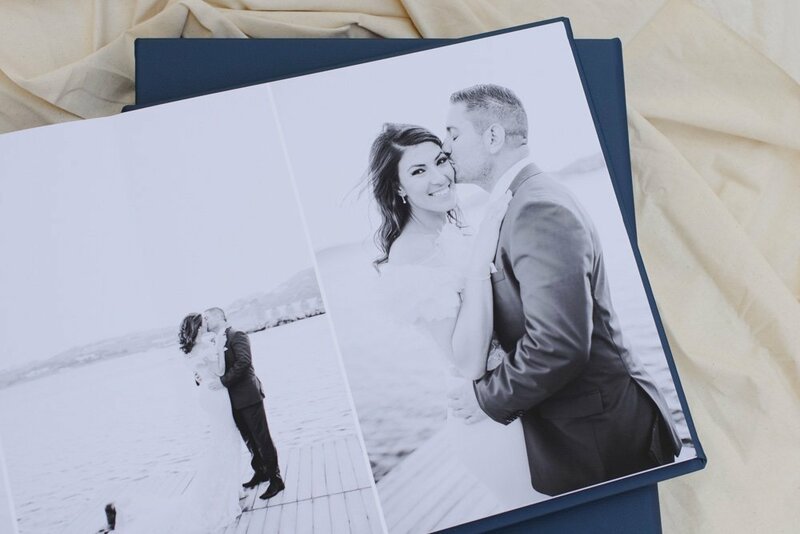 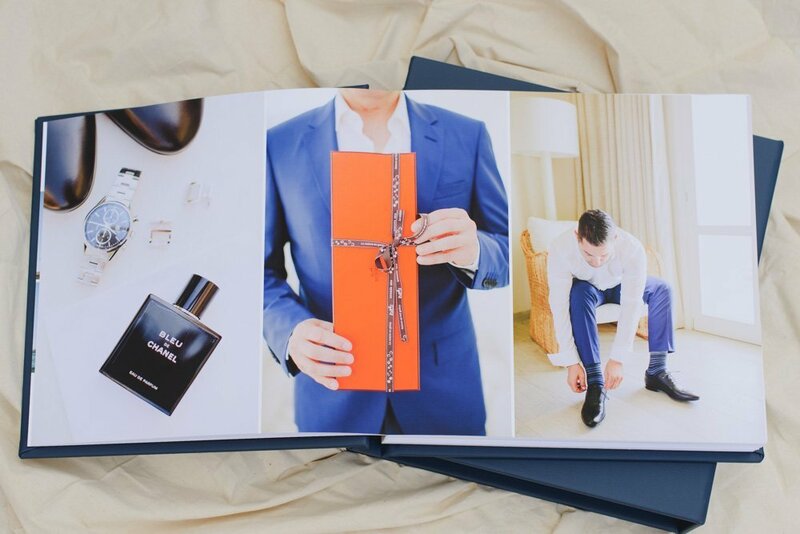 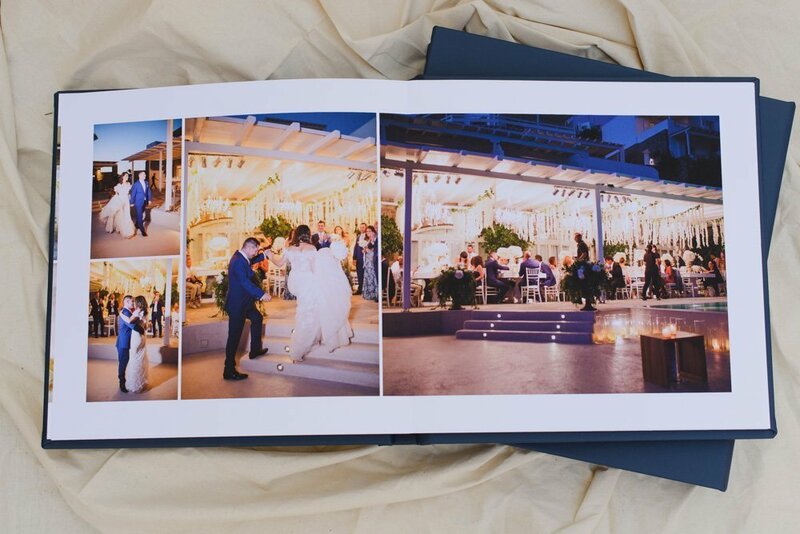 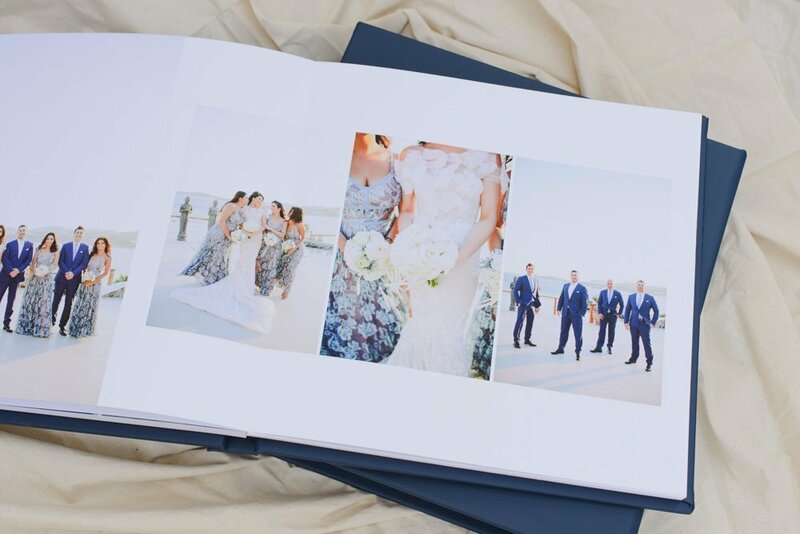 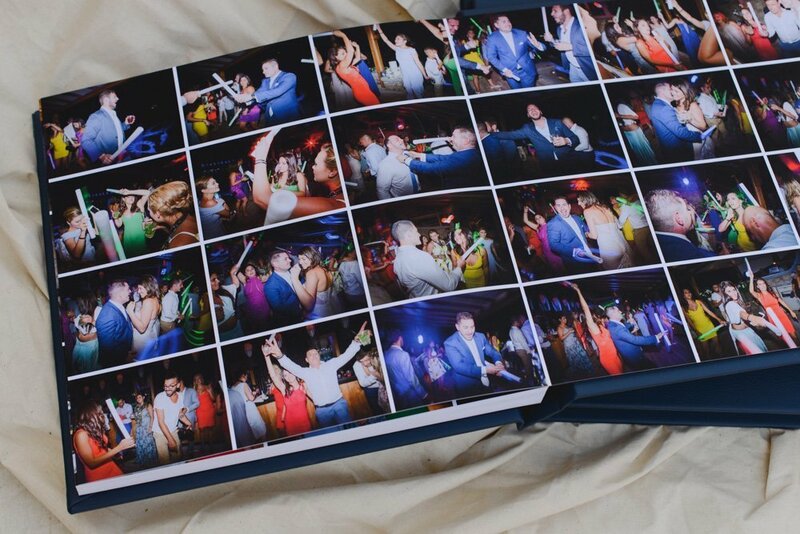 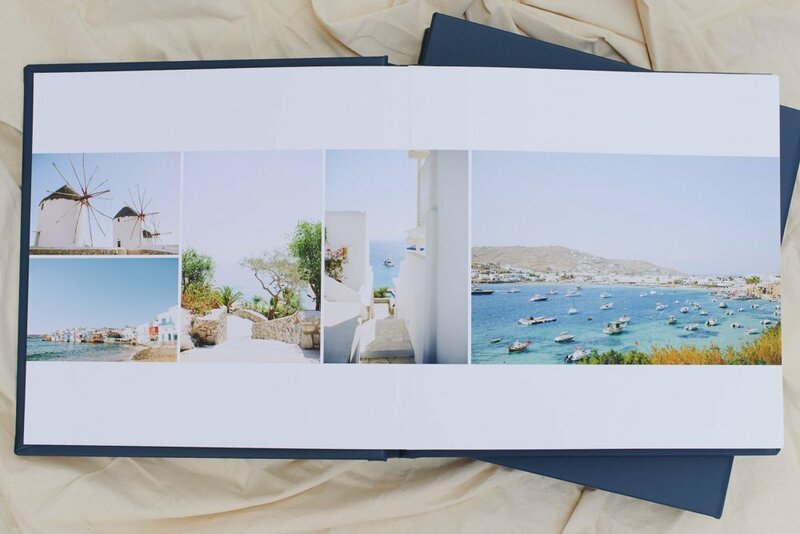 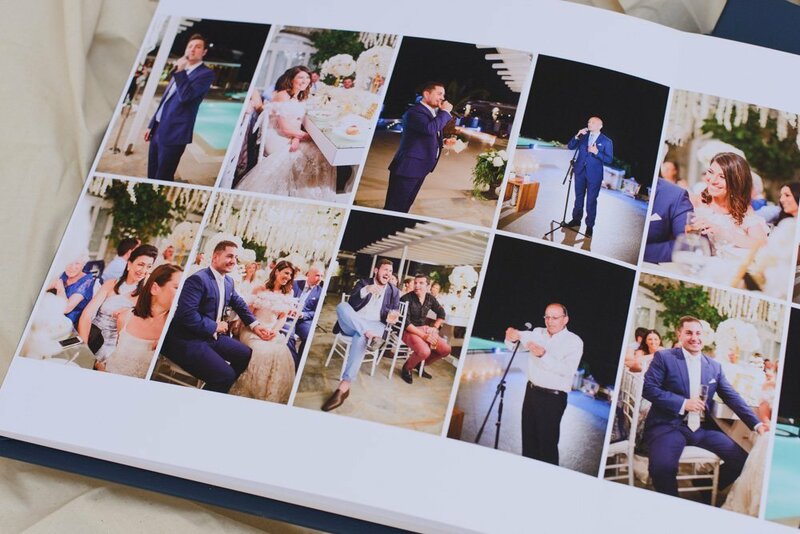 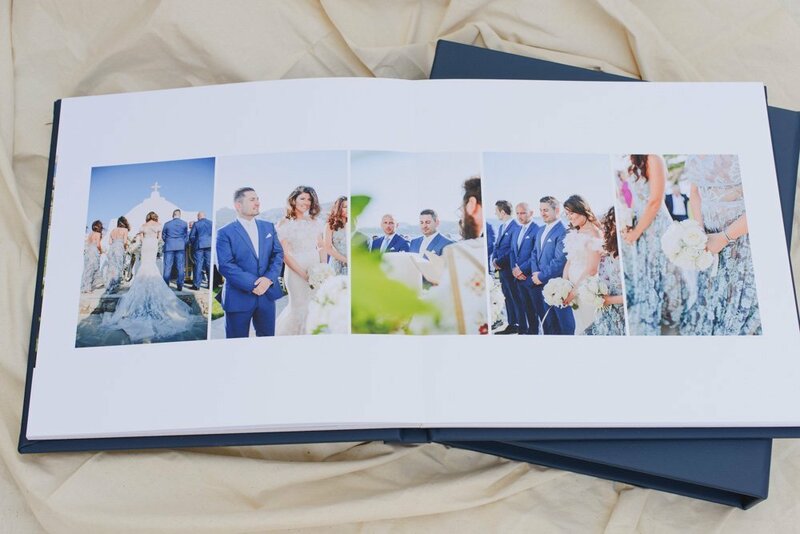 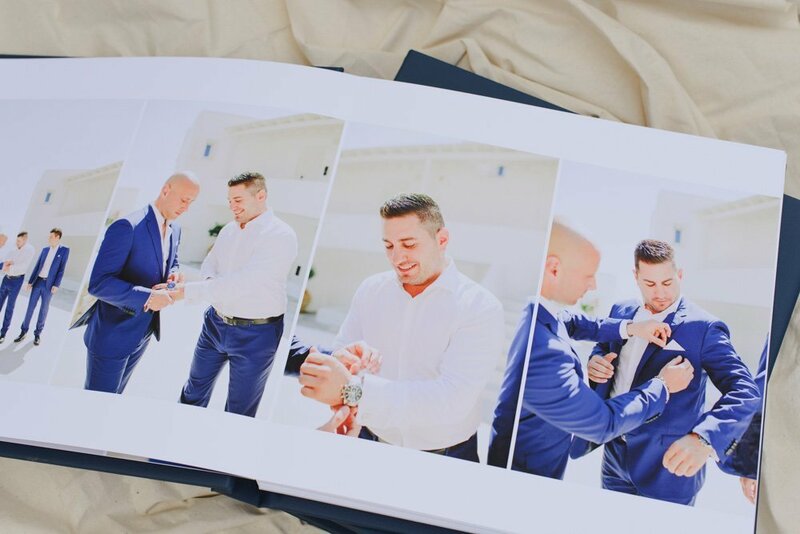 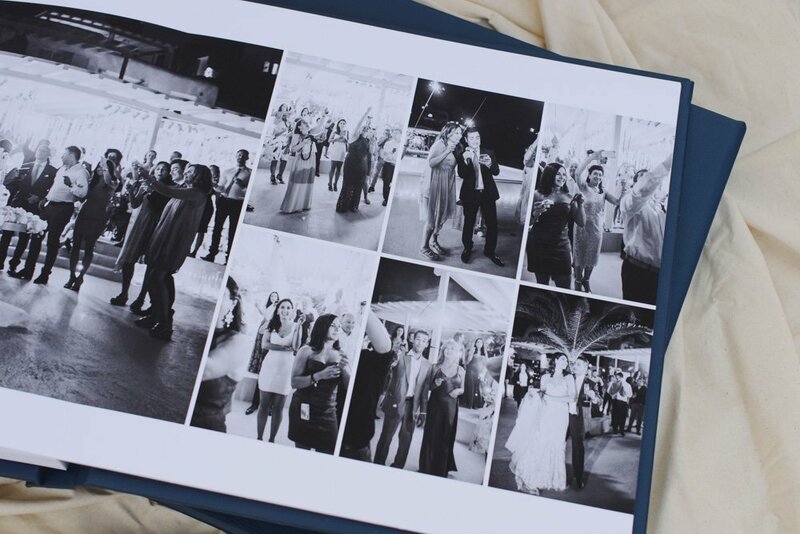 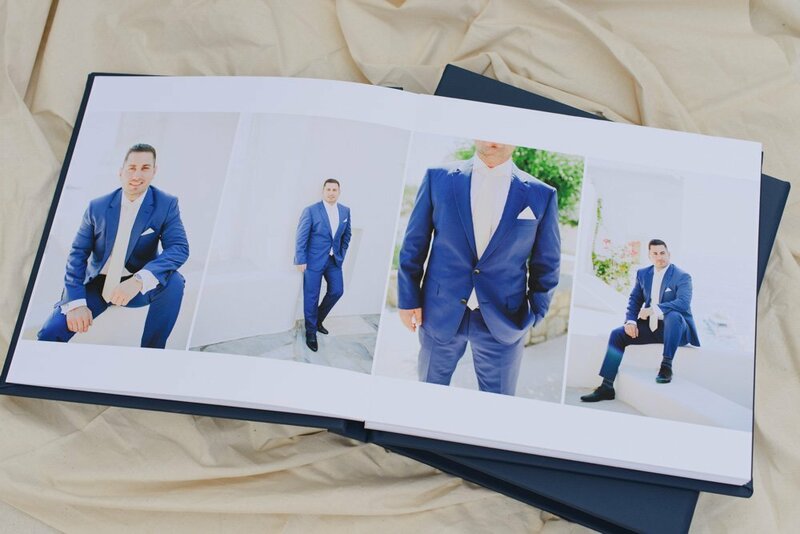 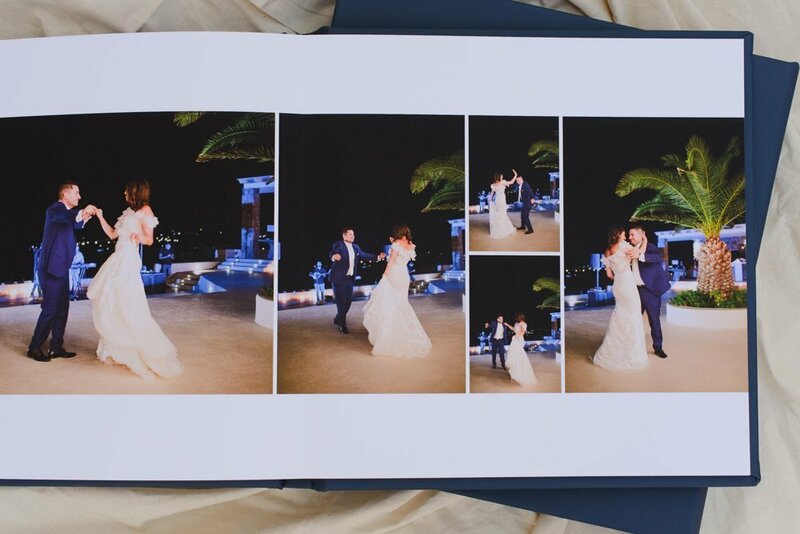 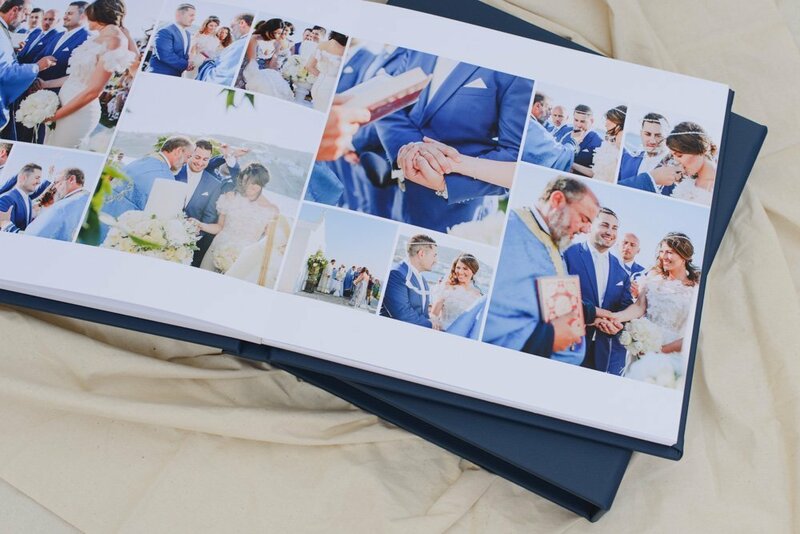 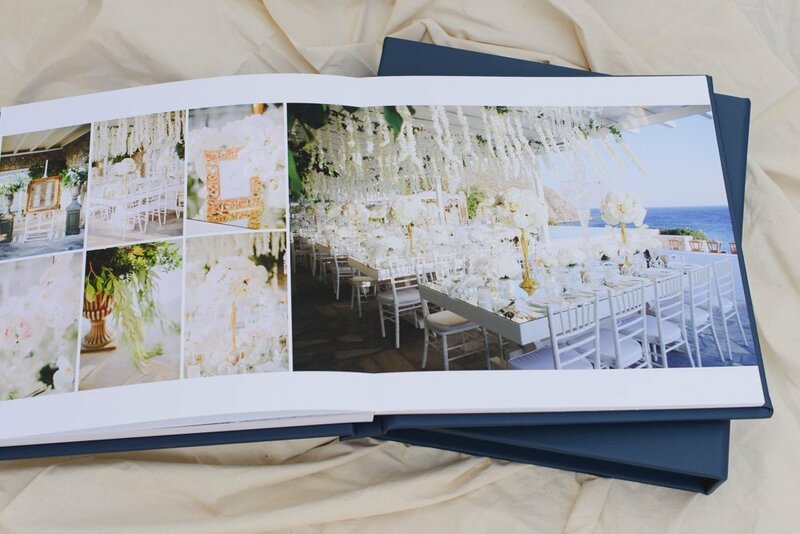 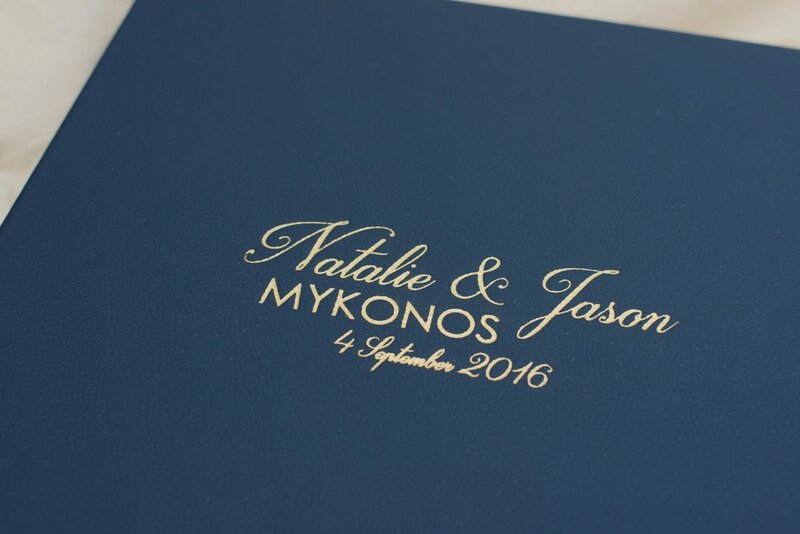 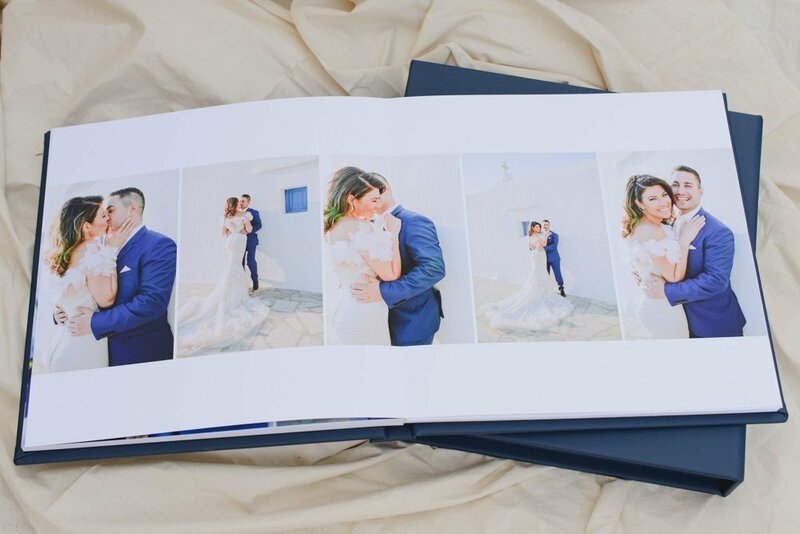 This couple’s gorgeous destination wedding in Mykonos has printed beautifully in our 12×12 square album and paired with a slipcase presentation box. 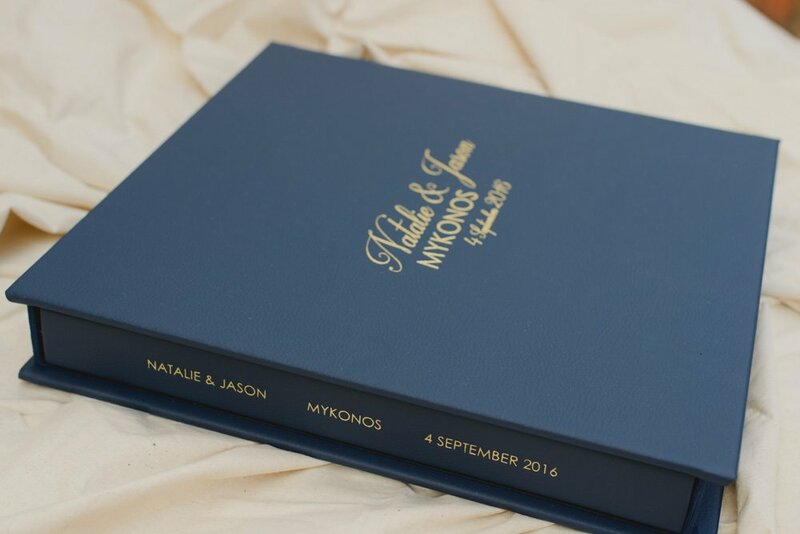 The modern navy leather cover chosen to tie in with the groom’s navy suit has gold embossing on the front cover as well as the spine. 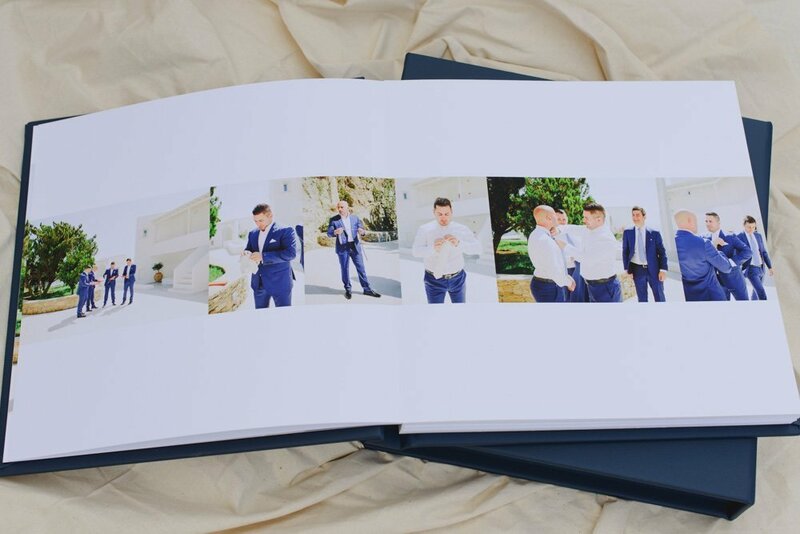 The pages are lay-flat and truly vibrant colours printed on a fine art matte paper. 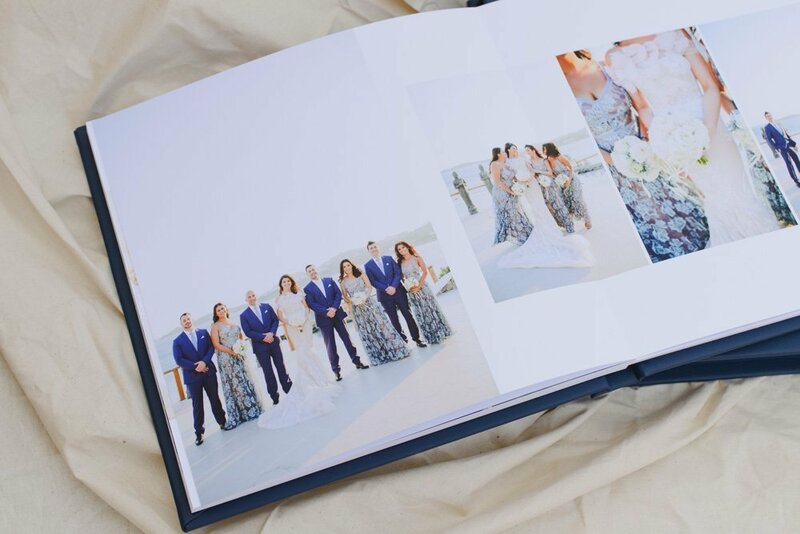 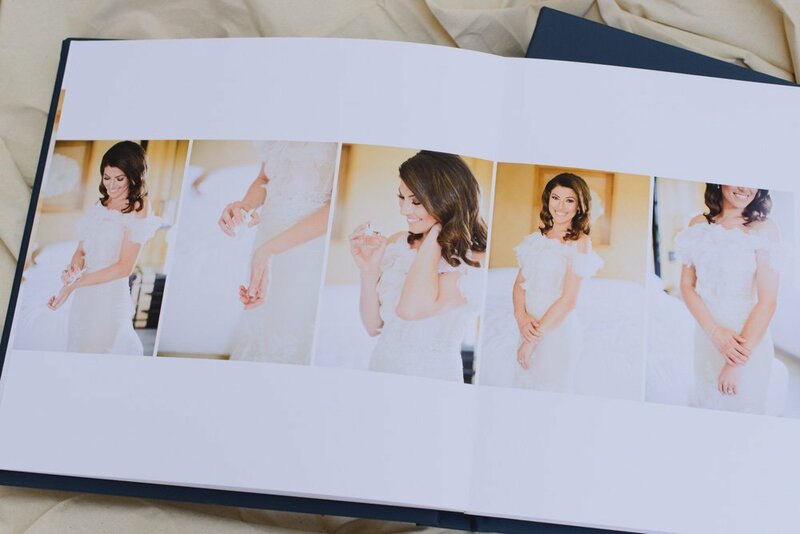 The printing is archival quality and quality materials and binding to allow the albums to last throughout the years. 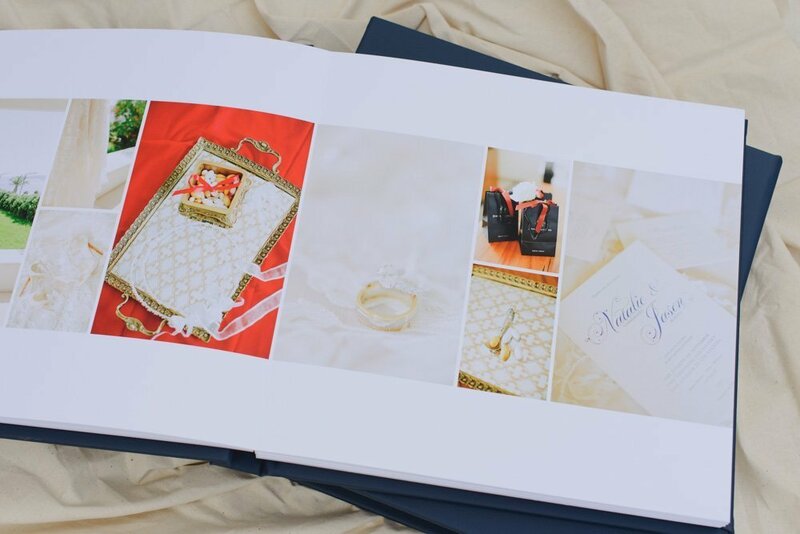 Our contemporary designs let your professional photographs take pride of place to tell your wedding day love story. 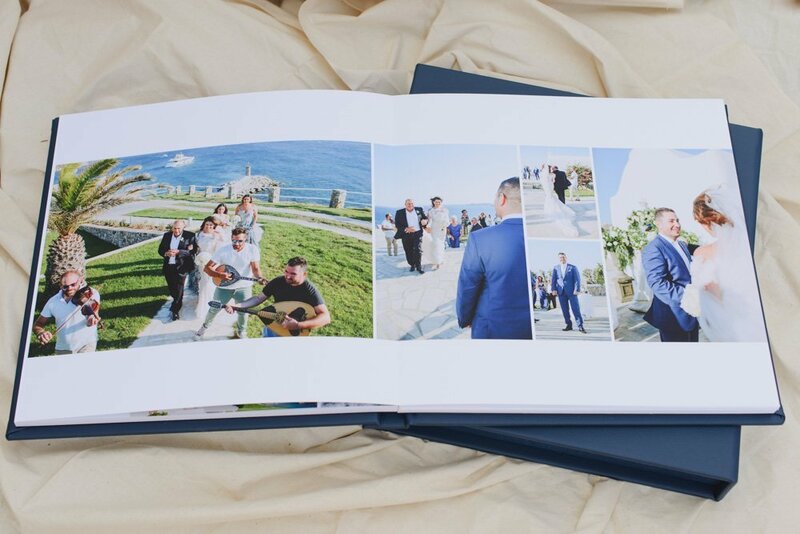 The finished album was 39 spreads (78 pages) and below is just a sample of some of those page designs.